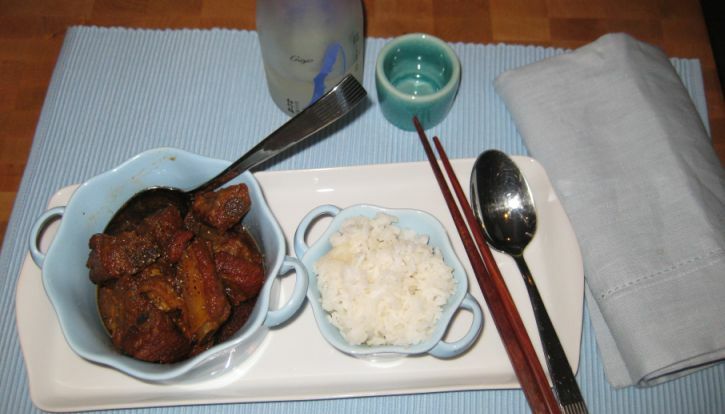 Xuon Kho (Pork ribs caramel) is a classic and popular Vietnamese dish. 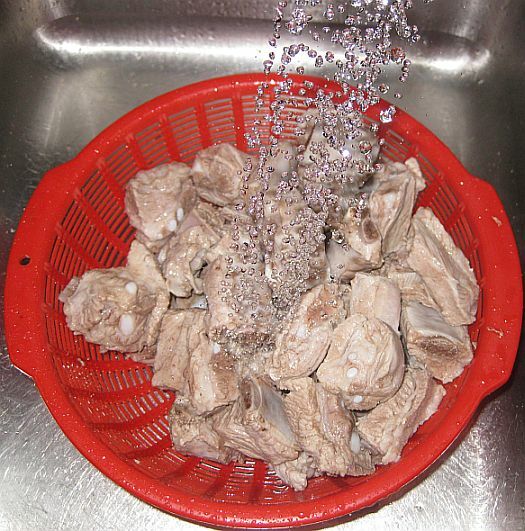 It is a simple and humble dish eaten all over Vietnam. 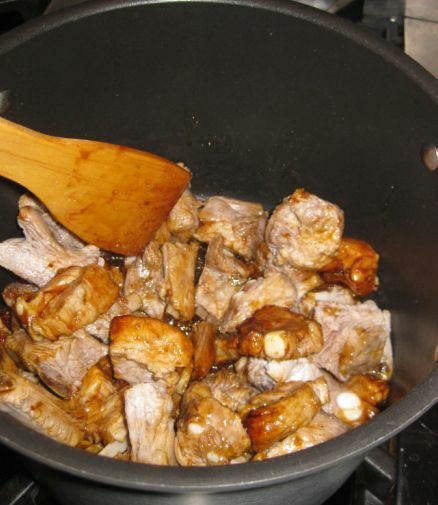 The pork is cooked in sweet caramel until the meat becomes rich and flavorful. 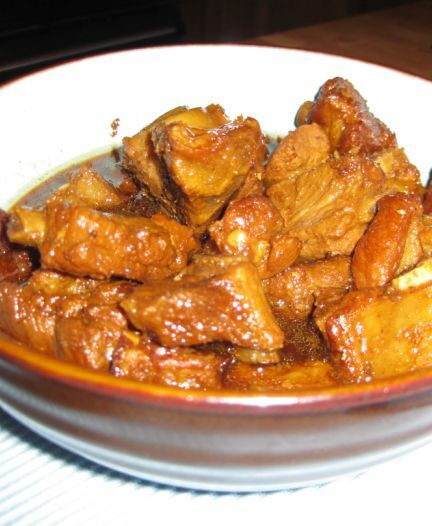 Most of the time people will add some boiled eggs to braise together with the pork, and then it is serve with freshly cooked jasmine rice. 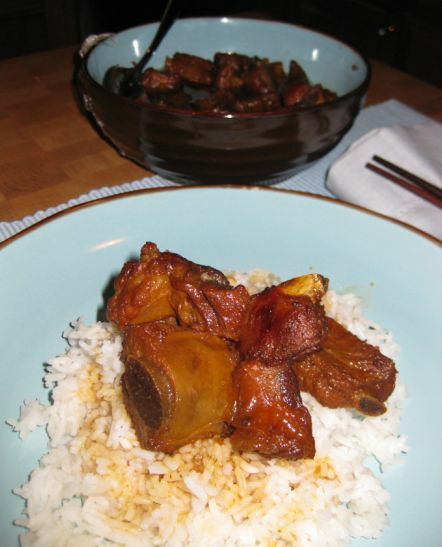 Kevin does not really care for Vietnamese food but Pork ribs caramel is his favorite Vietnamese dish. I usually make this dish at least once or twice a month and each time I make it, Kevin is looking forward to eat it. 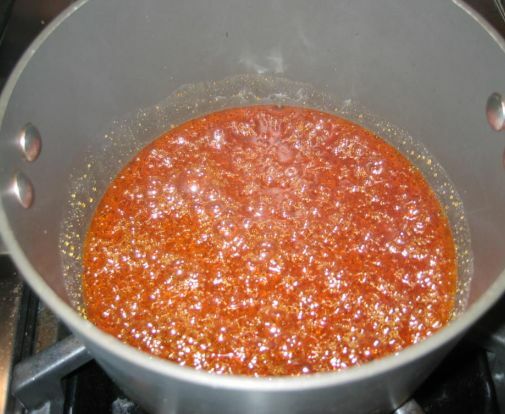 The sauce is sweet and salty and it really satisfy your palate. 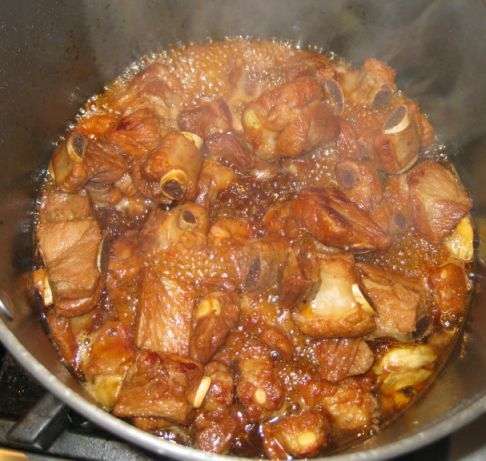 When the meat is gone the sauce is also wonderful mixed with rice. 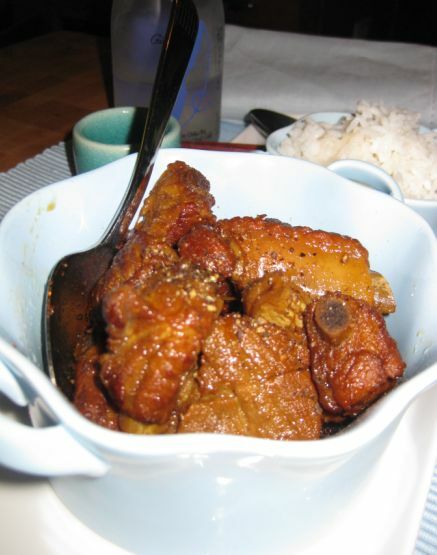 Xuon Kho is a Vietnamese comfort food. The smell of this dish is very strong because of the fish sauce but it is so delicious. 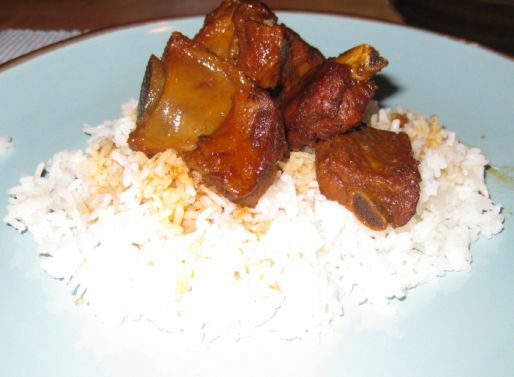 Once you taste this dish you will like it too. 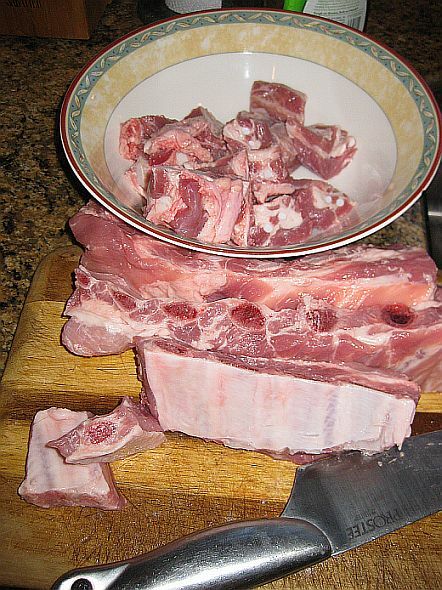 Cutting the ribs into small portion. 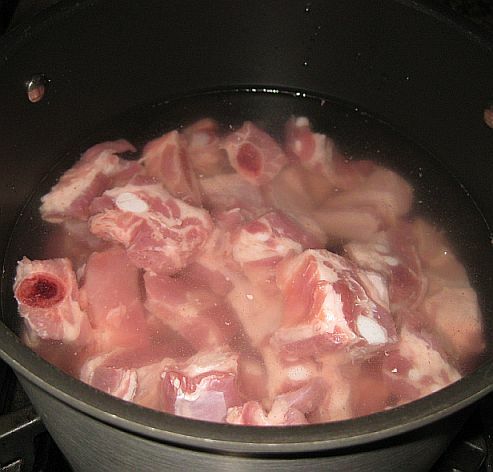 The ribs is boiled to remove the blood and all unwanted residues. 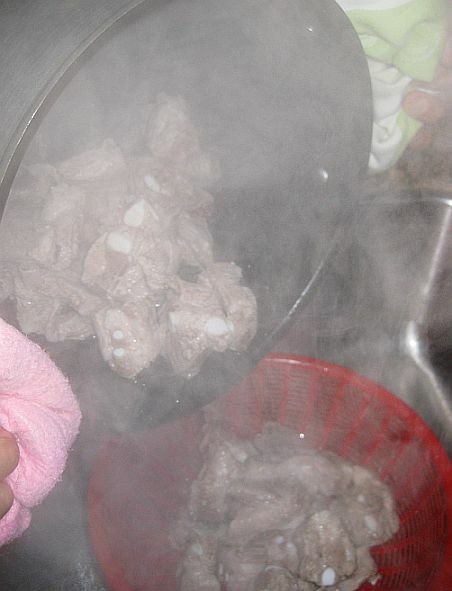 Once the water is boiled, the ribs is poured out into a colander..
..and the ribs are rinsed to remove all the residues and put aside. 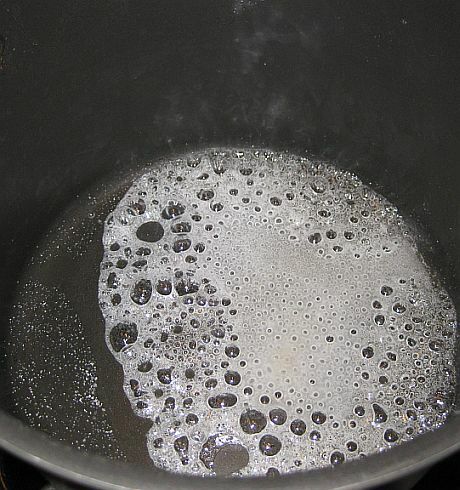 Here I am preparing the caramel but adding sugar and a bit of water in a large pot. 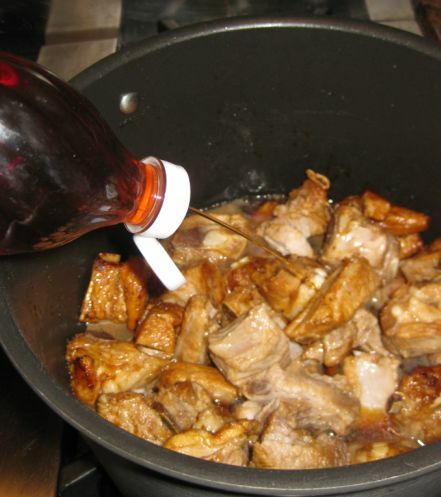 Ribs are added back to pot and stirred so the caramel will coat the meat. Here I am adding a lot of Nuoc Mam (fish sauce) to the pot. The ribs are cooked at medium heat for about 15 minutes or until the sauce is becoming thick an syrupy!